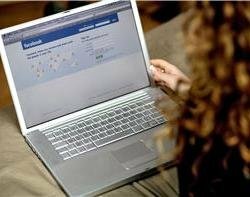 Web 2.0 applications such as social networking sites have significantly lowered the security of 82% of organisations, a survey of more than 2,000 IT security professionals has revealed. Most respondents in the UK, US and Australia believe employees should be held most responsible for mitigating the security risks associated with using Web 2.0 applications, ahead of information security and corporate IT staff, the Ponemon Institute found in a survey commissioned by security firm Check Point Software Technologies. But 49% of UK IT practitioners believe their organisation's employees lack security awareness when using Web 2.0 applications and rarely or never consider security issues when downloading content, browsing, uploading files, opening links or engaging in social networking at work. The UK was close to figures for the US (52%) and Australia (48%), but less than a quarter of respondents in France and Japan felt their users disregard security issues when browsing. Some 58% of UK and Australian respondents said Web 2.0 applications have a significant impact on the security posture of their companies. Concern is greatest in Japan (82%) and the US (80%), but again the level of concern over Web 2.0 security in the workplace is much lower at 45%. "It is clear that IT security administrators are concerned about the impact of Web 2.0 applications in the enterprise," said Nick Lowe, head of Western Europe sales at Check Point Software Technologies. "But they also need better tools to understand which applications employees are using for business purposes." IT administrators said workplace inefficiencies, malware, data loss and viruses are the main threats caused by the insecure use of Web 2.0 applications, such as social networking, blogs and wikis. Some 43% of UK and Australian respondents said minimising Web 2.0 security risks is a high priority for their organisation. In the US and Japan, these figures are even higher at 65% and 68% respectively, but 63% of French security administrators said Web 2.0 security is a low priority. To coincide with the publication of the survey results, Check Point announced the release of application control software to enable business to manage Web 2.0 applications. The Application Control Software Blade involves employees in the decision-making process and enables IT administrators to tailor application usage to their specific business needs, the firm said.